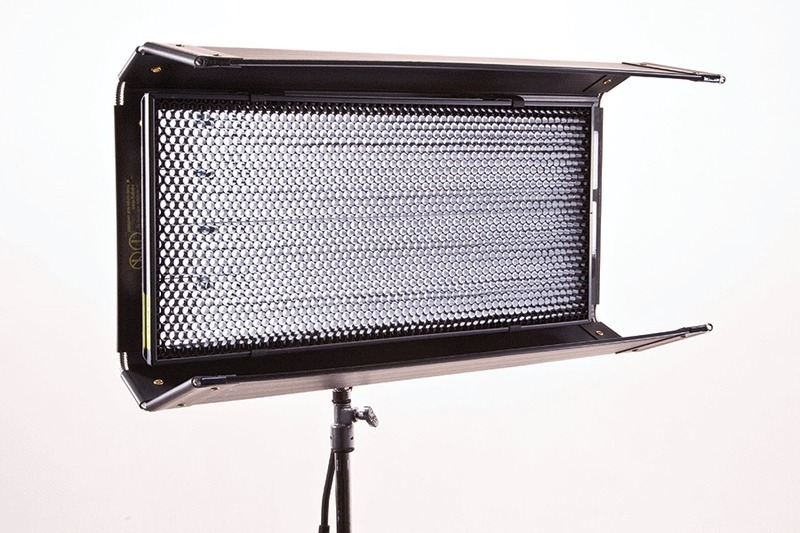 The Diva-Lite 401 is a soft light sources ideally suited for Television or Film documentary shooting styles. The units provide a broad, soft and diffused light. As a cosmetic light source they are ideal for news presenters reporting from locations around the world. It's compact size and rugged lightweight nature make them well suited for travel. This instrument is proving to be very popular for interviews. It is small enough to travel easily and is light enough to rig onto compact lighting stands or grip arms. An interview can be done with as little as a single Diva-Lite 201 and a bounce card. The Diva-Lite is an efficient soft light compared to conventional studio fixtures. The Diva-Lite 401 is brighter than a 1K studio tungsten softlight, yet draws only 1.1 amps at 230VAC compared to 4 amps on the tungsten softlight. This is especially important when shooting on location and power availability is an issue. The low power draw is also an advantage when operating on battery inverter power sources. On the HMI side, the Diva-Lite 401 would be approximate to a 400Watt with a soft Dome. Fixture includes Center Mount, Gel Frame, Louver and built-in barndoors. No need for cool down period. When finished, turn off power and pack. Low amperage draw - can plug in to any household outlet. Universal with auto-sensing power supply can use anywhere in the world. Full spectrum (CRI 95) lamps available in 3200K and 5500K. Center Mount for horizontal and vertical axes rotation.